This is an (incomplete) list of Latin American concordats beginning in the later 19th century. The Spanish concordat of 1851 was retained by the American colonies of Spain which later won independence. They wanted to be regarded as successors of the historical and legal obligations of the Spanish crown, so as to retain the right of patronage over the Catholic Church in their territories. Concordats were delayed in Latin America, first by the power of the King of Spain, and later by political instability and Vatican opposition to the independent new republics. From the 16th century "His Most Catholic Majesty" exercised control over the Church in his American colonies. "The Patronato Real (Royal Patronage), … gave the crown ample powers over the demarcation, administration, and finances of the American dioceses, including the nomination of bishops." Through the Inquisition, which operated according to Canon Law, the Catholic Church also exercised direct control in both Spain and its American colonies. 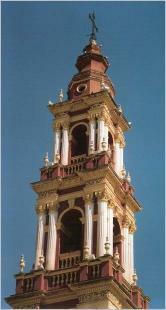 In the Americas the Inquisition held courts in Mexico City, in Cartagena (Colombia) and in Lima (Peru). These Church courts had the power to try, torture and condemn to death, usually at the stake, anyone who committed heresy, and they could rely on the state to carry out their judgements. In this situation concordats were not necessary in Latin America. As the Catholic Encyclopedia puts it, “…It were to be desired that the Church should never need concordats, and should always find in civil rulers devoted children….”  King Ferdinand VII of Spain was just such a ruler. The list of concordats given below is compiled from various sources, with no guarantees for the completeness for any of them. The date given is when the concordat was signed by the heads of state or their representatives, not when — or if — it was ratified by a legislature. (That can be checked here.) Of course, in the case of a dictator legislative approval may be dispensed with altogether. Another advantage to the Vatican in concluding a concordat with a dictator is that these agreements remain valid, even when there is a return to democratic government — because they are "international treaties". Thus the concordats with Duvalier (Haiti) Trujillo (Dominican Republic), Aramburu and Onganía (Argentina) are still in force, long after their dictatorships have ended. 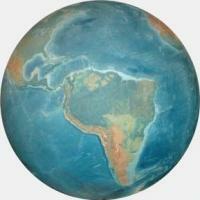 There are two traditional concordat hotspots, Columbia and Equador. As usual, these are the legacy of Vatican-friendly heads of state. In Columbia, President Rafael Núñez proclaimed a national "regeneration", brought in an authoritarian new constitution and gave his country its 1887 concordat, the first of many. 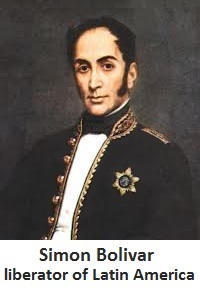 In neighbouring Equador, President Garcia Moreno ceded complete control of education to the Church, forbade heretical (non-Catholic) worship and arranged the 1862 concordat for what he called the "Republic of the Sacred Heart". In contrast to these conservative countries, the radically secular Uruguay has never had a concordat in its entire history. Countries marked with an asterisk have cancelled their concordats and not replaced them as of 2014. 28 June 1957 Accord between the Republic of Argentina and the Holy See on Church jurisdiction in the military service and pastoral care in the Armed Forces. 10 October 1966 Accord concerning ecclesiastical organisation. 21 April 1992 Diplomatic Note on modifying the Accord about Church jurisdiction in the military service and pastoral care in the Armed Forces. 29 November 1958 Accord on Church jurisdiction in the military service and pastoral care in the Armed Forces. "In 1898, and following at ten year intervals, supplementary conventions were negotiated establishing the amount the government should appropriate to the Church. " Cf. Mecham, Church and State in Latin America, 132. After Laura Chinchilla became president in 2010 she tripled the Costa Rican contributions to the Catholic Church, which is the state religion, and two years later met Pope Benedict XVI to discuss the "negotiation of a concordat". 5. Thomas J. Williford, "Chapter II: Two Competing Nationalisms: Development of the Colombian Political Process to 1930", Armando los espiritus: Political Rhetoric in Colombia on the Eve of La Violencia, 1930-1945, 2005.